Volkswagen has revealed the I.D. Vizzion concept a day ahead of the 2018 Geneva Motor Show. The latest concept joins Volkswagen’s lineup of all-electric vehicles with autonomous driving which consists of the I.D. Buzz and the the I.D. Crozz. The I.D. 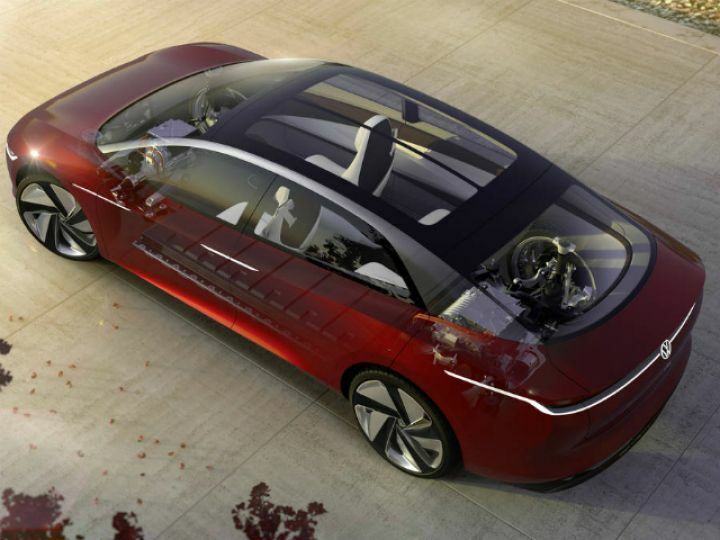 Vizzion, VW says, will be capable of Level 5 autonomy. 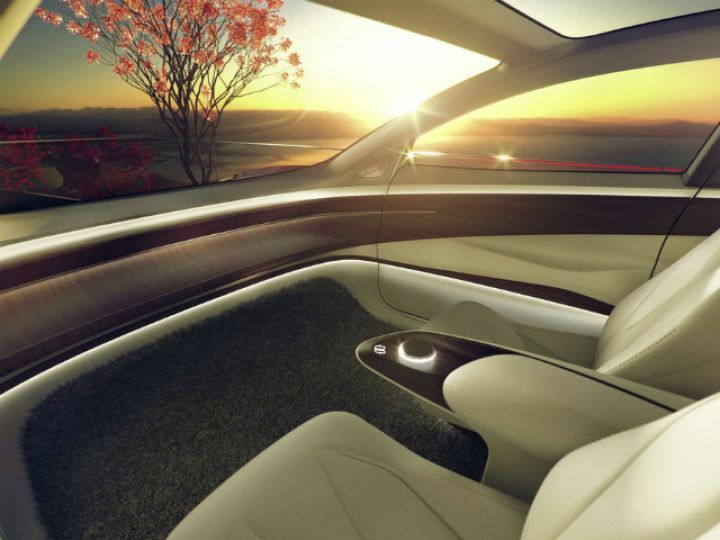 What that means is that this sleek sedan is capable of being operated solely by voice and gesture commands with the help of a sophisticated artificial intelligence system that can learn about new situations on the go! To do this, VW has been feeding these camera-equipped artificial intelligence systems with thousands of images of cars, trucks, bicycles and pedestrians so that it can learn to differentiate them. Eventually, with the help of extensive machine learning, these systems will be able to arrive at their own conclusions automatically. VW says the I.D. Vizzion will utilise “inter-connected laser scanners, ultrasonic sensors, radar sensors for objects in the near-zone and radar sensors for long distances, front and rear cameras and side view cameras”, besides the data gathered from connected cars of the future to enable Level 5 autonomy. In terms of looks, the I.D. Vizzion gives us a glimpse of what VW’s flagship electric car could look like when launched in 2021. The concept is 5.1 metres long and as futuristic as one would expect it to be. Despite its tremendous size, the car features only four fully reclining seats. And since it’s an autonomous vehicle, it does away with the steering wheel and pedal box. VW says that the side windows can be darkened for privacy and can be made transparent to let some light in. It further added that the car will be capable of recognising its owner using biometric facial recognition or a smartphone and adjust the car’s settings accordingly. The onboard virtual assistant will even be capable of pointing out places of interest and suggest a different route based on the user’s needs too. VW says that its flagship electric car that is set to hit the production line in a couple of years will borrow heavily from this concept. 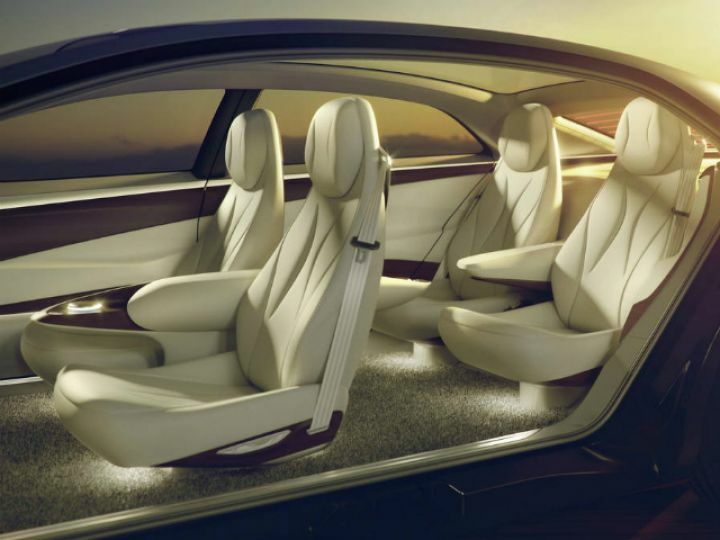 However, it also says that Level 5 autonomous technology is still quite far fetched and that we should only expect Level 3 or 4 in the flagship sedan. 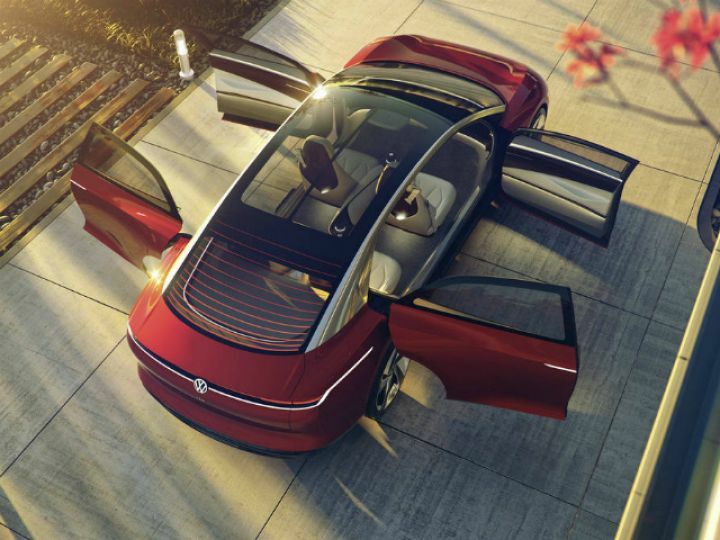 The concept showcased at Geneva rides on VW’s MEB platform with two electric motors, two transmissions and electronics that link them together. While the motor at the front puts out 100PS of power, the one at the rear produces 200PS. Both are powered by a 111kWh Li-ion battery that is hidden under the floor. And, according to VW, this setup gives it a a range of 650+ kilometres. While we’ll have to wait until 2030 to test these claims, one thing’s for sure – Tesla, ze Germans are coming and you better watch your back!